Get an easy conversion of your files from our website GRABZ.IT. It helps to convert the HTML files into PDF formats in just a few minutes. What does HTML and PDF means? Well, HTML and PDF are the two formats of file. HTML stands for Hypertext Markup Language. It means a standard system text for creating a web page. On the other side, PDF is known as Portable Document Format. It is a format to represent the various documents including texts, files, images etc. These PDFs doesn’t depend on the application software, hardware or any other operating system. It is necessary to understand the need of conversion to support the file formats. HTML formats are those file formats which are neither readable nor downloadable. 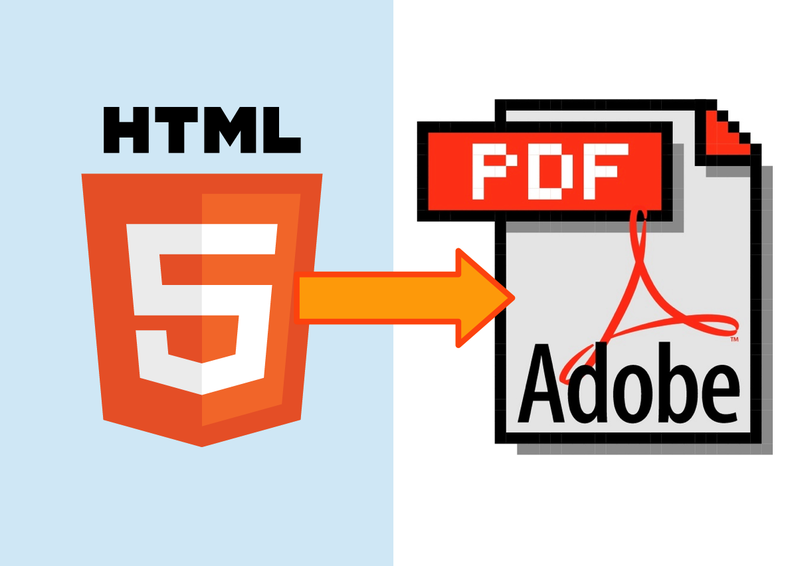 In order to download the HTML file, we need to convert the file into PDF format. A PDF formatted files are easily downloadable which is helpful to save for the future purposes. The PDF files are also easily readable. If we do not convert the document into HTML format, then we have to write the entire code for creating the web pages. PDF is the one-stop platform to cover up all the requirements of the file conversion. Also Checkout Apple Watch: What does the future hold? Step 1 – To covert the files into PDF format, you need to visit our site GRABZ.IT which offers free conversion of HTML files to PDF format. After visiting the site click on the PDF Editor app as per the OS. There are separate buttons for Mac and Window. In case of Windows Operating System, the file will be converted into .exe format and the Mac supports .dmg files. Click on the download options and then install the PDF editor. Step 2 – After the completion of the installation process, we need to check whether the program is successfully running on the device. After doing so, there is an option which will be displayed on the screen like “Create PDF“. Click on the Create PDF option and upload the file in the PDF Editor that needs to be converted. Then click on the open option for loading the HTML document into the program. Step 3 – The final step is to click on the “Save As” option if the file is error free. By selecting the save button, your entire file will be converted into PDF format. In addition to this, GRABZIT’s Application Programming Interface (API) also aims at transforming HTML files and Images to PDF’s. During the process of conversion, it identifies the browser case to ensure all the resources within HTML are properly functioning or not. For converting HTML to JPG Image by following the PHP programming language, you need to download PHP Library. Then you have to acquire the application key along with the application secrets by operating the demo mentioned therein. The API documentation needs to be checked to derive all the possible ways to utilize the API of GrabzIt. For considering where to set the page breaker in a PDF file to avoid splitting content across the pages, one should mention about the special requirement of the page breaker. The PDF files are supported everywhere and are highly needed almost everywhere whenever we are uploading any file. It includes texts, images, graphics and much other information that are required to be displayed. Should you buy Instagram followers or not?